If so, you probably already know it can be a major challenge that affects almost every aspect of your daily life. When exploring your options to replace massive or total tooth loss, there is often a lot of confusion around which option is best. Many confuse Teeth in a Day with dentures; however, teeth in a day replacement encompasses the use of dental implants to replace a full arch of teeth. And as the name states, you’ll get your new set of teeth in just one day, meaning you don’t have to go through multiple dental appointments to gain your brand new set of teeth. This option remains one of the most convenient, cost-effective ways to permanently replace your missing teeth. Hands down, the best benefit to Teeth in a Day is all in the name: you’ll walk out with a new smile in just one appointment. Traditional dental restoration with implants can take months and multiple visits. Your restoration will end with a set of permanent, non-removable implants that you treat as your natural teeth. Even more, you’ll be able to enjoy a healthy, comprehensive diet with your new teeth in place. Attach your new top or bottom dentures immediately. The final benefit you’ll receive is the life-changing confidence that comes with having a new smile that you won’t be ashamed of showing off. 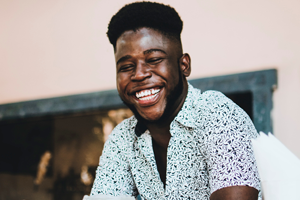 If you’ve experienced significant tooth loss, you’ll find just regaining the ability to smile at those you know and love without feeling embarrassed is an invaluable experience. Are You a Good Candidate for Teeth in a Day in Atlanta? Now that you know the benefits, are you wondering if you might be a good candidate for Teeth in a Day? At Dentistry at East Piedmont, every Teeth in a Day treatment starts with a complimentary consultation. Here, our dentists will listen to your goals for the treatment and conduct a thorough review to make sure the treatment is right for you. Then, they will walk you through a detailed and personalized treatment plan to ensure that when you arrive at our office, you’ll have a firm grasp of every step of your procedure. If you’re ready for a brand new smile, contact us or call (770) 609-4544 to schedule your complimentary consultation to determine if you are a good candidate for Teeth in a Day.